It with great pleasure we presented yet another unique software solution called ‘BIRD-on-Cloud’ which is an unmatchable, unique Business Intelligence solution running on the cloud, to large number of company representatives gathered at the recent event of ‘OpenArc CEO/CIO Meet-up’ held on 02nd March at the Institute of Chartered Accountants of Sri Lanka. BIRD which stands for Business Intelligence Reporting & Data visualization is a product that we promote with SriyamSoft, India, a global product and services based organization with offices in North America and Asia. OpenArc has been appointed as the reseller in Sri Lanka for BIRD. BIRD is very new and it uses cutting edge technologies addressing next generation information challenges of corporate world such as Multiple Data Source Compatibility, Report automation, Multi-device support, Elastic in memory Database, Predictive Analytics and Artificial Intelligence that is capable of delivering high performance management information in a real time environment at astonishing speed. We have overcome many barriers in conventional BI Tools and the BIRD undoubtedly will be the best in terms of value for money. Along with price competitiveness, we offer easiest and simplest implementation of it for any business enterprise using multiple data bases. At present we are talking to large number of companies who have shown interest in making the best use of BI for their businesses. We will perform a POC for any prospective company before they make a decision to move forward with this product. 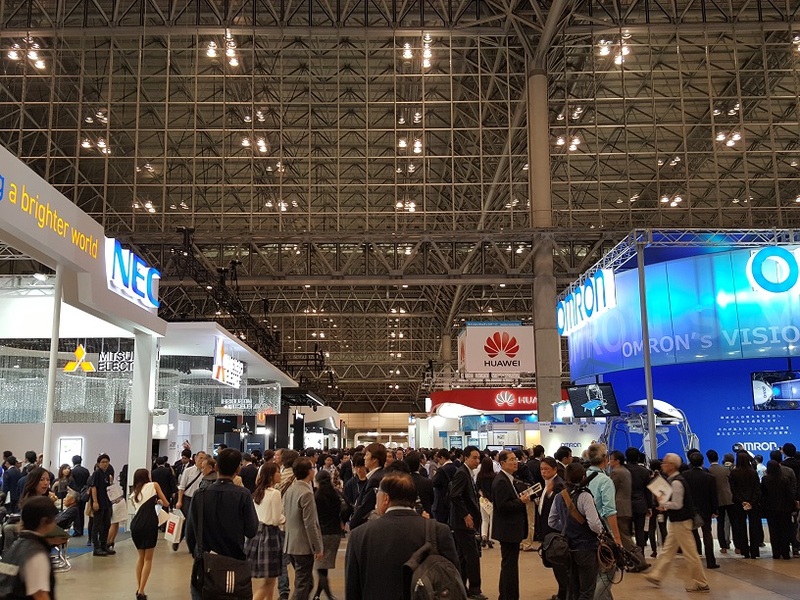 OpenArc participated in one of the biggest IT exhibition in Asian region named CEATEC JAPAN 2015 from 7th to 9th October 2015. 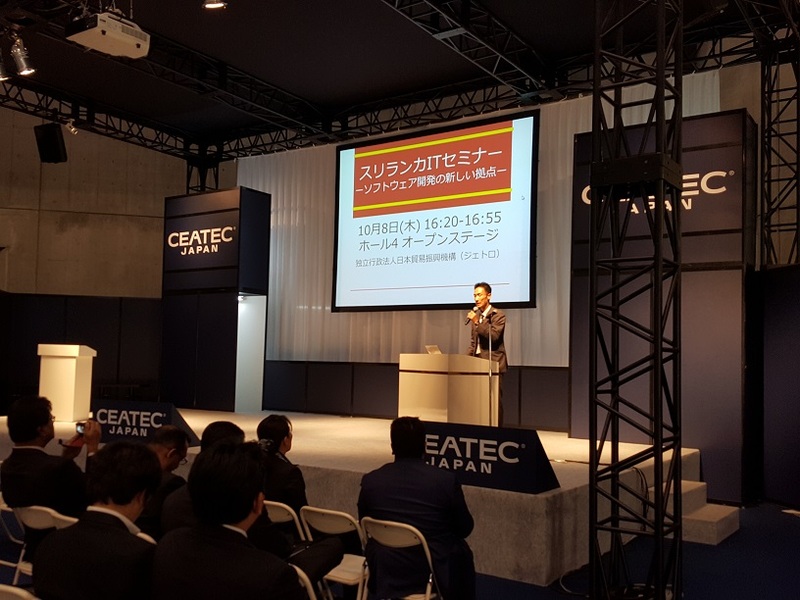 EDB and JETRO took the leadership in organizing the Sri Lanka pavilion at the CEATEC Exhibition and guided the Delegation of six (6) Sri Lankan software companies who participated in the event. 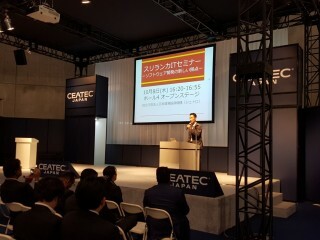 Before joining CEATEC, JETRO held a Sri Lanka Seminar at their head office in Tokyo. The Financial Minister Mr. Ravi Karunanayake, BOI Chairman Mr. Upul Jayasuriya and about 200 Japanese companies / investors attended the Seminar. In addition to above, Sri Lanka delegation had meetings with Japanese IT associations such as JISA (Japan Information Technology Services Industry Association) and JUAS (Japan Users Association of Information Systems). 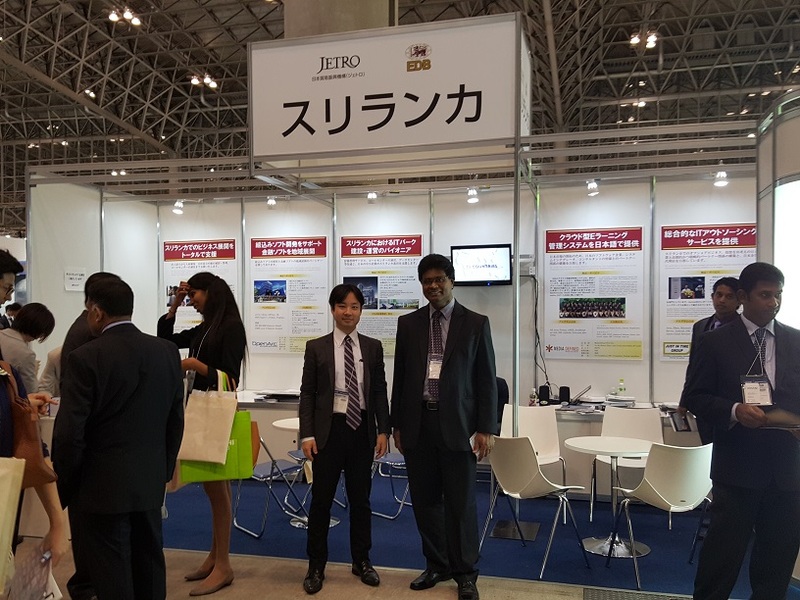 Sri Lanka delegation had a good opportunity to learn about the IT industry in Japan and during the mission, we discussed the possibility of expanding Sri Lankan IT companies’ business in Japan. 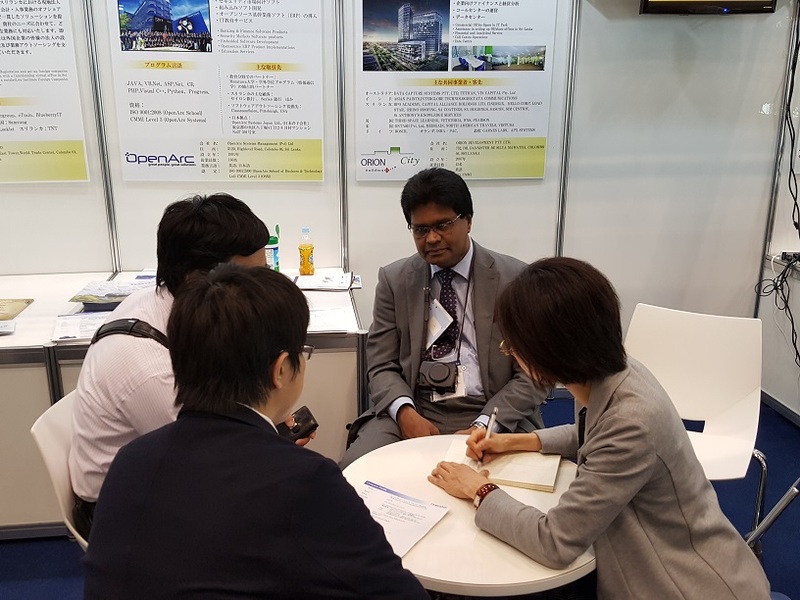 Further, some of the Japanese companies already engaged in international businesses in other countries including India and China were interested in Sri Lanka and OpenArc is presently having some discussion with those Japanese companies. We will keep in touch with those Japanese companies, some of which have already visited us in Sri Lanka, and work with them exploring business opportunities and expanding our operations in Japan for mutual benefits. SharBank, the Sharia banking product of OpenArc, won a merit award at the prestigious National Best Quality ICT Awards (NBQSA) held on 09th October 2015 at hotel Galadari in Colombo. SharBank comprises sub products Ijarah, Murabaha and Mudharaba which are Sharia Banking counterparts of conventional banking’s Leasing, Hire Purchase and Deposit products respectively. OpenArc School of Business & Technology is the only partner organization of University of Moratuwa (UoM) for BIT external degree programme. OSBT had its very first batch to the BIT of UoM from the beginning of this year. The registrations for the 2014/2015 batch have been successfully commenced during the first quarter over 150 students. This visit of UoM was to evaluate the institutional environment of OpenArc Campus. 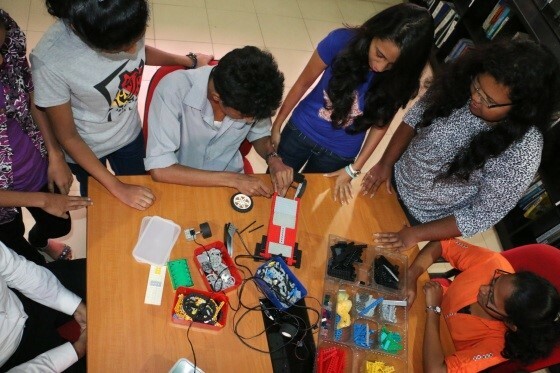 An evaluation committee consisting of four members, Dr. D. Wickramasinghe the Chairman of the Centre of Distant Learning, Dr. Ranga Dharmapriya and two other representatives of University of Moratuwa visited OpenArc last September. During the evaluation programme, they initially had a discussion with OpenArc management. Mr. Daya Hettiarchchi CEO/Chairman of OpenArc Group, Mr. Vijith Sinhabahu Managing Director of OSBT and Mr. Dinesh Rodrigo, Chief Operating Officer & Mr. K.D.R. Perera, Chief Academic Officer of OpenArc Campus, participated in the discussion. Addressing the issues with ICT education and engineering, industry demands and social responsibilities as a top ranked University and Software Company/Academy in the island, they agreed to make some new steps towards the betterment of undergraduates and overall Sri Lankan students as a national interest. Providing an IT based foundation and guiding school students for an essential change in their mind-sets, were among the highlighted topics. 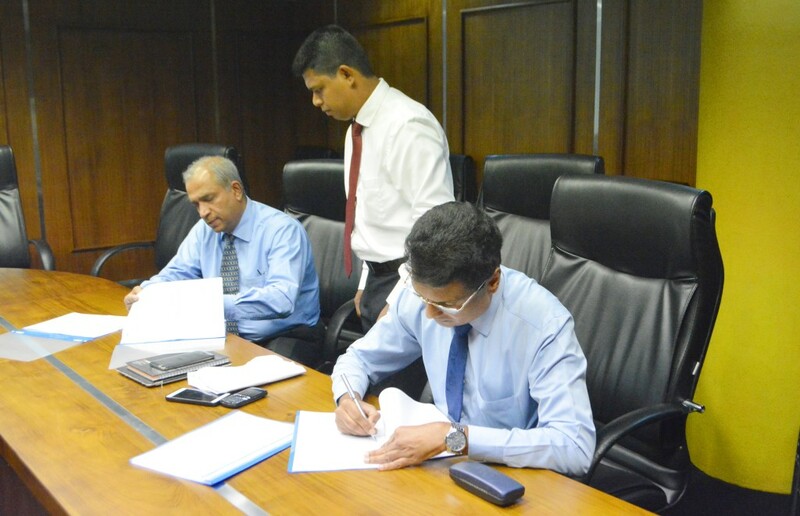 As our Chairman Mr. Hettiarachchi suggested, the panel agreed to make some enhancements for the BIT degree course modules and syllabus as well. The subjected changes will be made to suit local degree holders with current trends and demands in global industry. Embedded Software Development and Electronics are proposed among the suggested knowledge areas. After the discussion forum the UoM representatives had a visit at OpenArc Campus. They were so happy see the calm and study-friendly environment of the OpenArc Campus including its lecture theatres, computer labs and auditorium and other facilities provided to the students. The evaluation team had a face to face discussion with the panel of lecturers and staff members as well. The students of degree programme were also interviewed during the evaluations. Concluding the observation UoM agreed to provide some books to OpenArc, So that OpenArc students will be able to refer those study packs and e-books from OpenArc Library and our online library service. For sure, University of Moratuwa and OpenArc will make the best for IT education as a social responsibility. 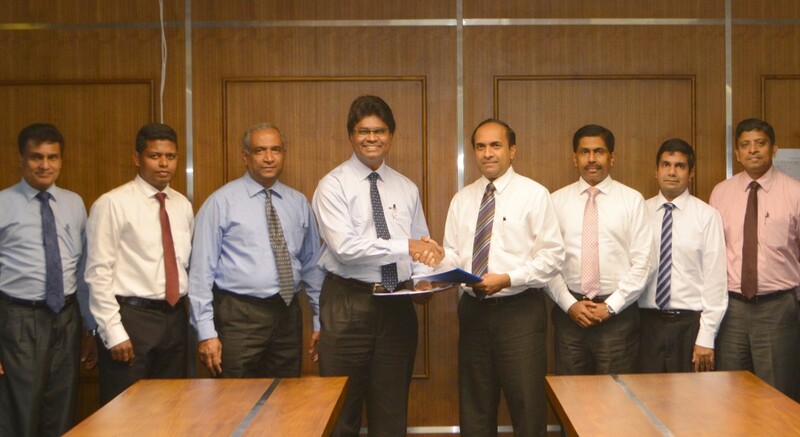 The visit of UoM strengthened the partnership further for the benefit of the ICT student population in our country. OpenArc campus is receiving applications for the undergraduate admissions for the academic year 2015/2016, for the BIT (Bachelor of Information Technology) degree programme offered by University of Moratuwa. 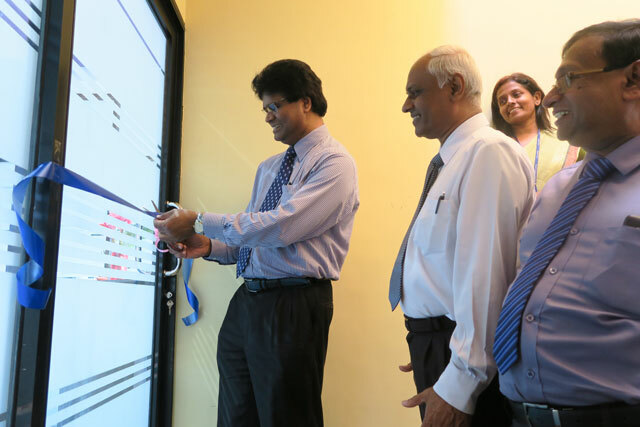 University of Moratuwa (UoM) has been offering BIT degree from 2006 as an external Degree Programme supported by a Learning Management System. From 2015 onwards, OpenArc School of Business and Technology holds the partnership to offer academic knowledge to the BIT degree readers as the only Partner Organization of UoM. The duration of the degree programme is three (3) years, over six (6) semesters. Candidates with, minimum three (3) passes for (G.C.E.) A/L in any stream and credit pass for mathematics in (G.C.E.) Ordinary Level are eligible for the course registration. SLIATE Diploma holders can directly join this course under lateral Entry and follow the course from the 2nd year of the programme. There were over 150 registrations for the first academic year (2014/2015) at OpenArc. OpenArc offers this course under two options. Both “Full time and Part time classes” are conducted to suit the requirements of non-employed / employed students, respectively. · Industrial Exposure with projects etc. The lectures are conducted by a panel of experienced lecturers. The entire programme is moderated by UoM. 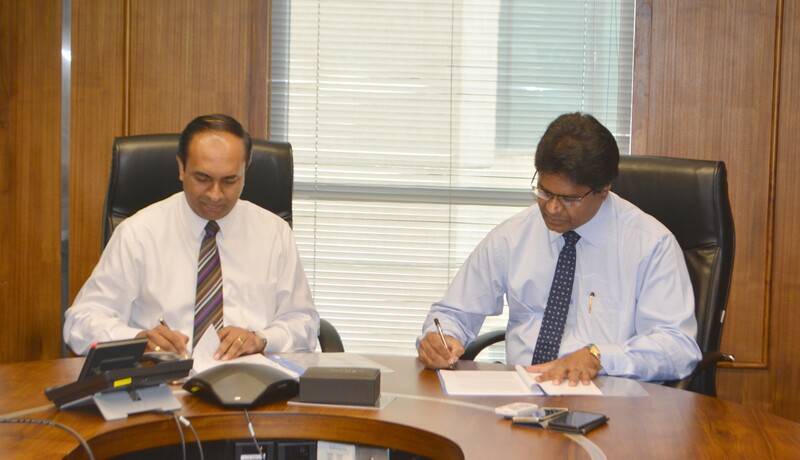 The Closing Date of the Registration is 31st October 2015, please visit www.codl.lk to download the application. For further information please contact the Partner Organization, OpenArc Campus www.openarc.edu.lk . Your inquiries are welcome.